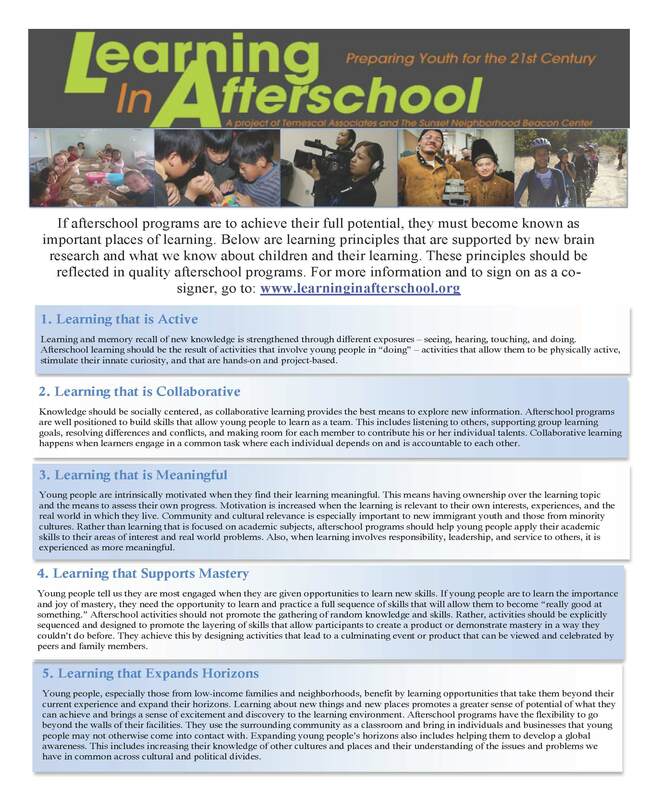 Learning in After School and Summer has 5 learning principles that should help define afterschool programs. These learning principles are strongly supported by recent brain research, afterschool research, and the growing science of learning. For more information visit their website, or check out the webinar on the five principles. The Greater Bay Area Regional Innovation Support Provider provided a workshop for the Power of Discovery: STEM2. Carol Tang, Director of the Coalition for After School Science, provided a framework for quality STEM in after school programs.